we said / work - I Say! The challenge was to demonstrate that AA Ireland’s home and car insurance cover delivers the same value and peace of mind that the roadside rescue service offers AA members. The solution took the form of 30 second TV commercials that deliver all the key product information with a smile and sense of humour. Agency: Dialogue. Using outdoor media, here's how we helped to position Sunday Business Post as an essential element of every serious business professional’s Sunday routine. Agency: Dialogue. Standard Life wanted to develop an information-rich programme to help those approaching retirement age prepare for the transition. 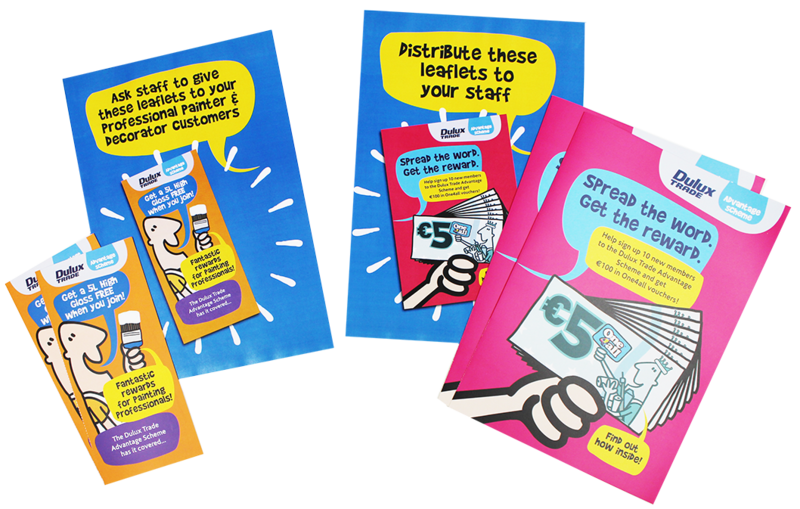 We branded this 'New You' and helped create a range of material including brochures, radio commercials and press ads. Agency: Dialogue. 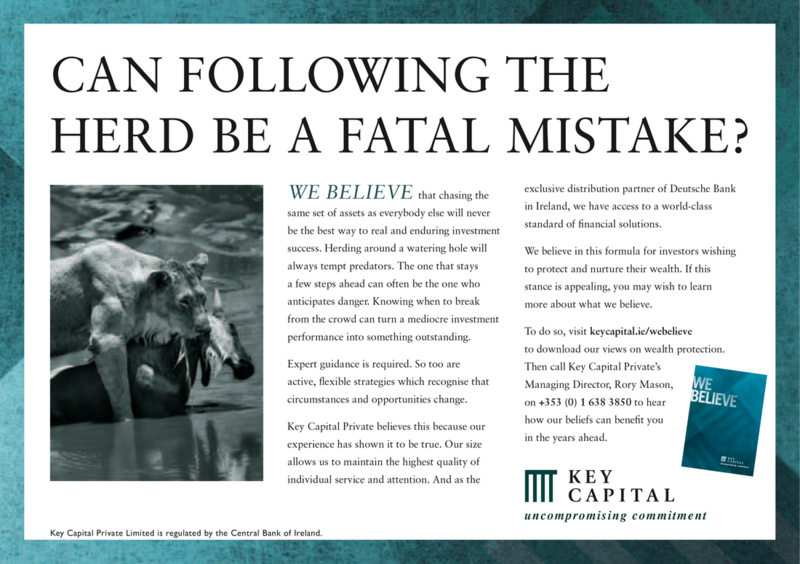 After identifying that Key Capital's corporate promise was 'Uncompromising Commitment', a series of ads was created to stake out their approach to wealth management and protection. Agency: Dialogue. The Dulux Trade Advantage Programme was a successful loyalty scheme designed to reward professional painters and decorators. Bi-monthly mailings, ads and point-of-sale material made it clear that Dulux understood the challenges facing the trade and was ready to help them with relevant and valuable rewards. Agency: Dialogue. Heineken's Sound Atlas transplants the music of some of the world's most vibrant cities to venues and events across Ireland. Emails like this are key to communicating the what, when and where of Sound Atlas happenings. Agency: Tadata/Rothco.